Vocabulary acquisition sounds like a big fancy word, but really, it just means making sure your students can understand and use a word in the appropriate context. 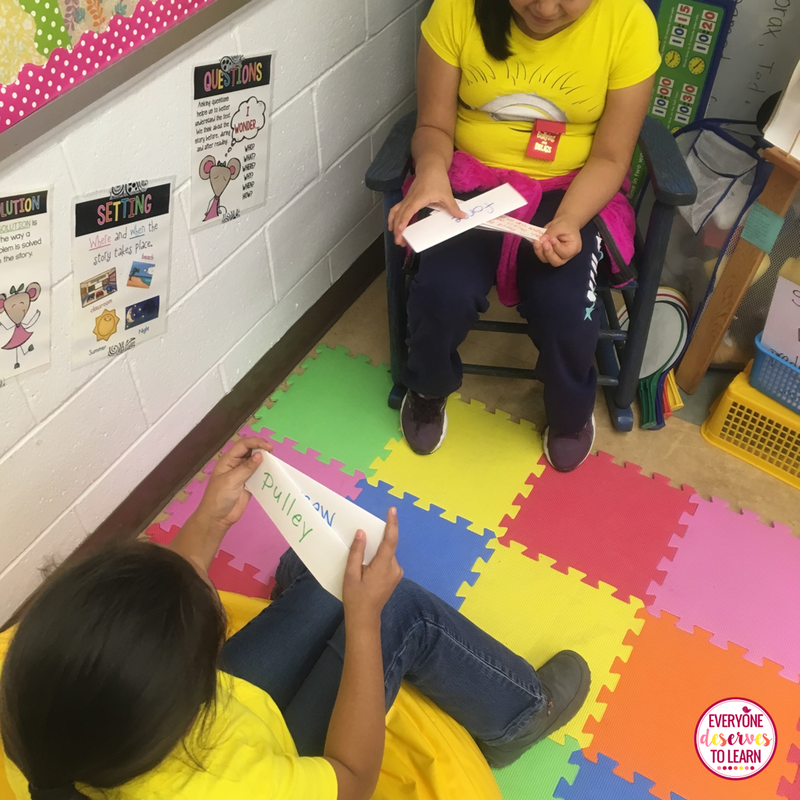 Many English Language Learners struggle to acquire vocabulary at the same rate as their English speaking peers, which widens the achievement gap and frustrates the teacher and the students. Now, there's no magic spell to close the achievement gap, but there are some ways to narrow it! 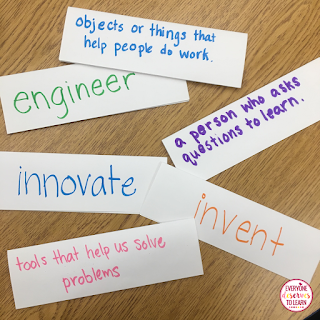 Handing students a list of words and definitions is not effective, especially for English Language Learners. 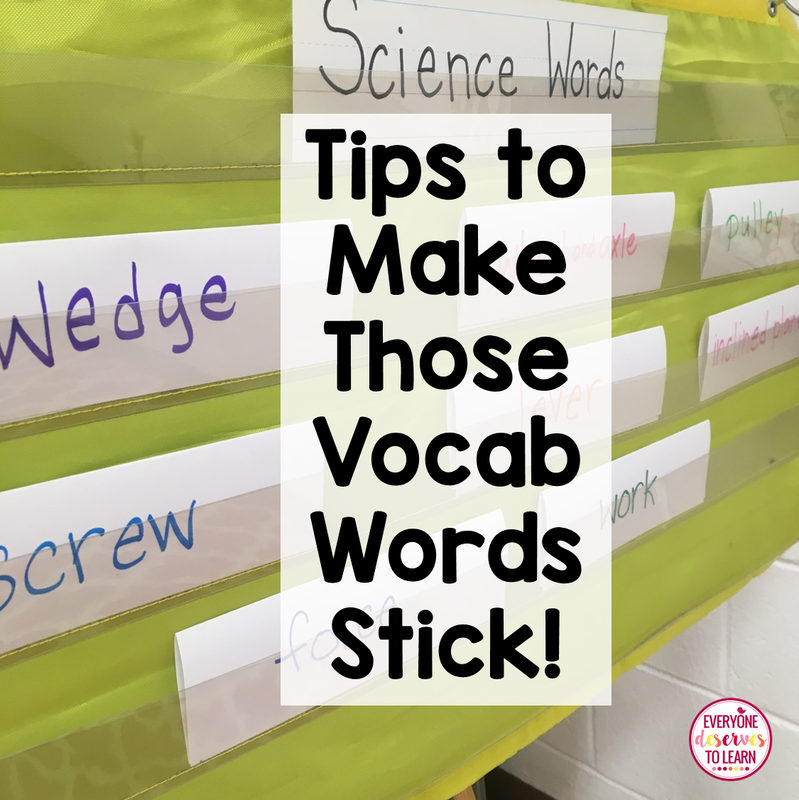 Students need exposure, repetition and authentic practice with a word before being held accountable for it. 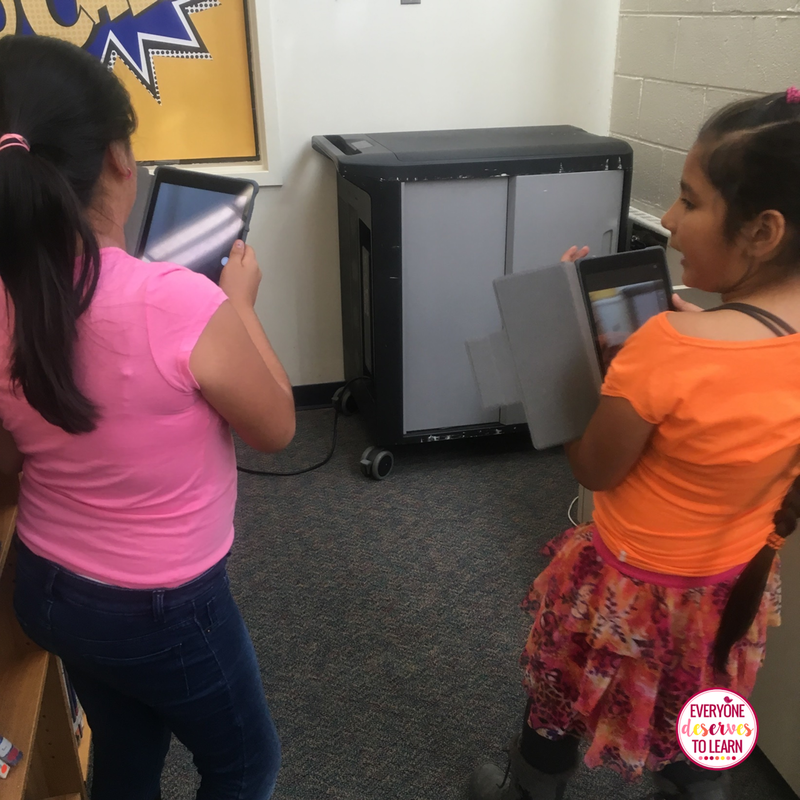 ELL's need to be able to use a word across the four domains of reading, writing, listening and speaking. One strategy I use is the six-step process by Marzano. 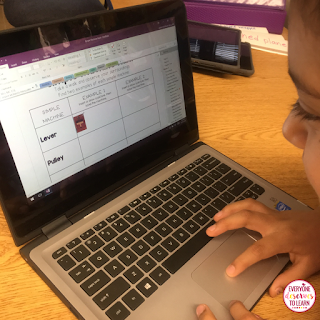 It is a framework meant to provide the background knowledge and scaffolding that students need to use a vocabulary word. 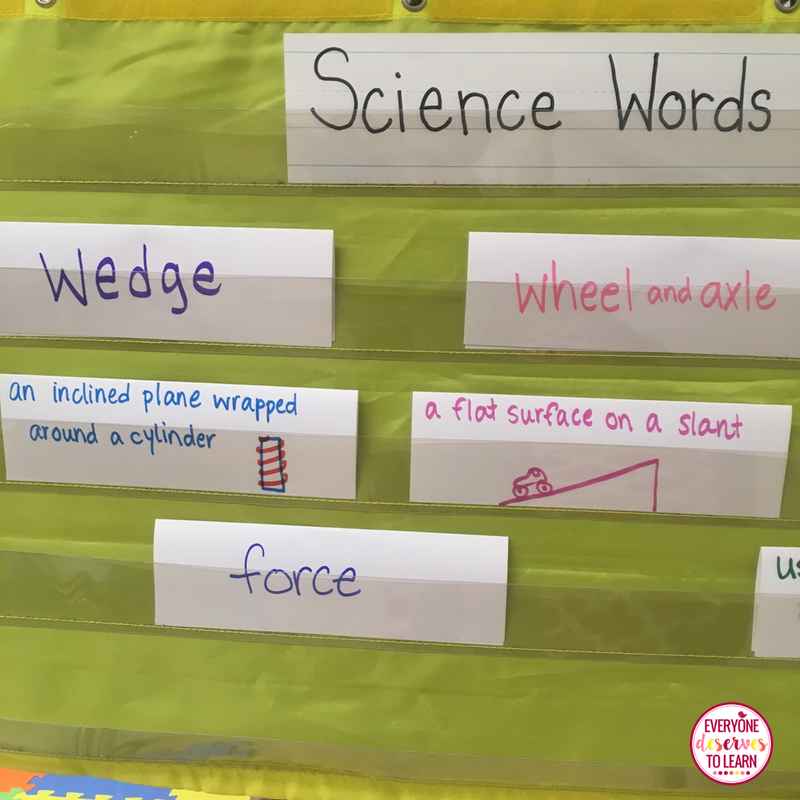 I've outlined how I use the steps using examples from my science class, but these strategies will work for words in any content area. 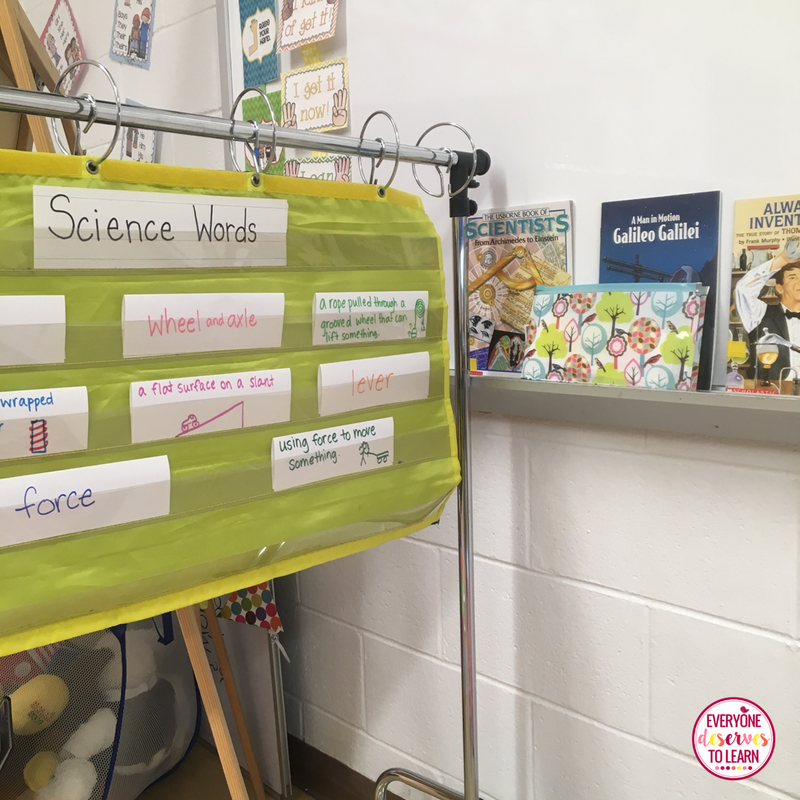 I start off by teaching each word explicitly, using pictures, videos, songs, and lots of student friendly examples. 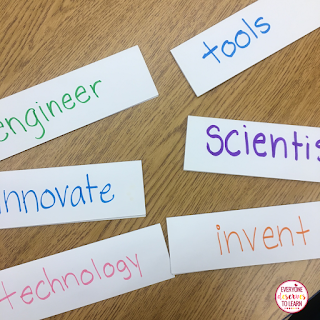 I give each student a word card after I've explained it, and they hold it at their desks. I'll stop after every few words and say, "Who has wedge?" The student will hold up their card if they have it. 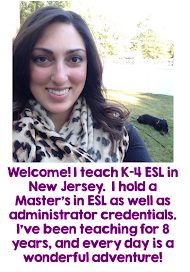 Then, depending on the level of the student, I may ask her to spell it, read the definition, or give me an example. I do that until each student is holding at least one word. Then to collect them, I'll say "Bring me the word that means to push or pull something." 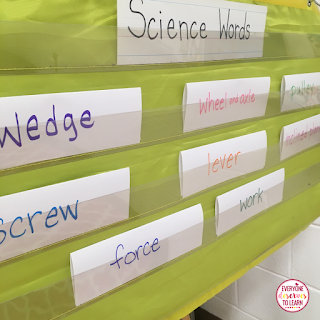 Or, "Bring me the word that's spelled S-C-R-E-W." Making the words interactive from the very start makes my students more engaged, and gives them more chances to connect with a word. I do these two steps together as one activity. 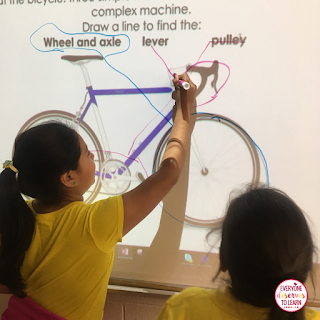 My students fill out a vocabulary wheel where they write the word, the definition, a sentence of their own, and draw a picture. 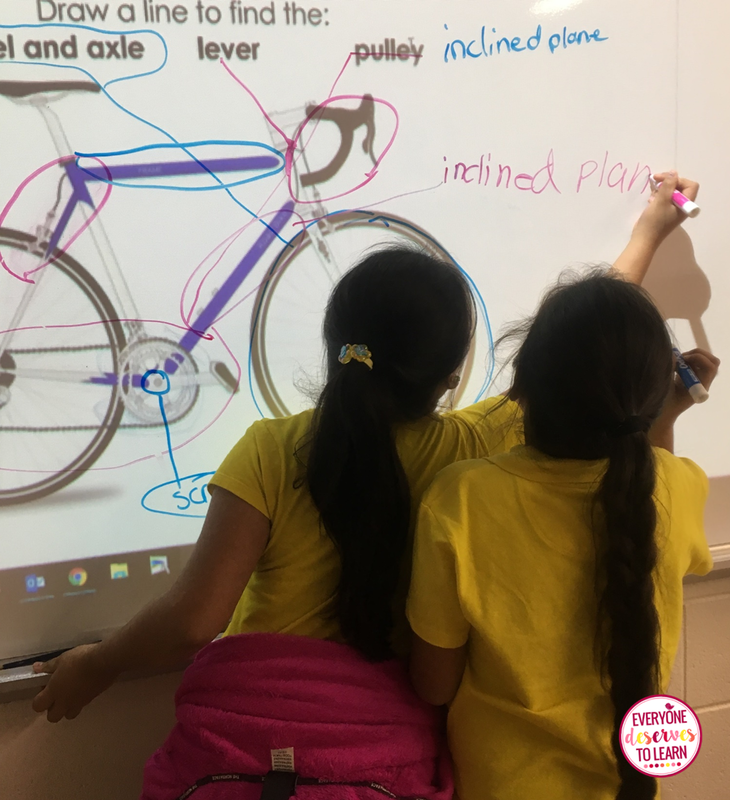 This can be done as a collaborative activity, too! In groups, one student can write the word, another writes the definition, and another draws the picture. Then switch roles for the next word. This is where the fun really begins! My students LOVE to play SCOOT, go on scavenger hunts, make crosswords and wordsearches, and quiz each other. Sometimes just matching a word to an illustration can be a lightbulb moment. 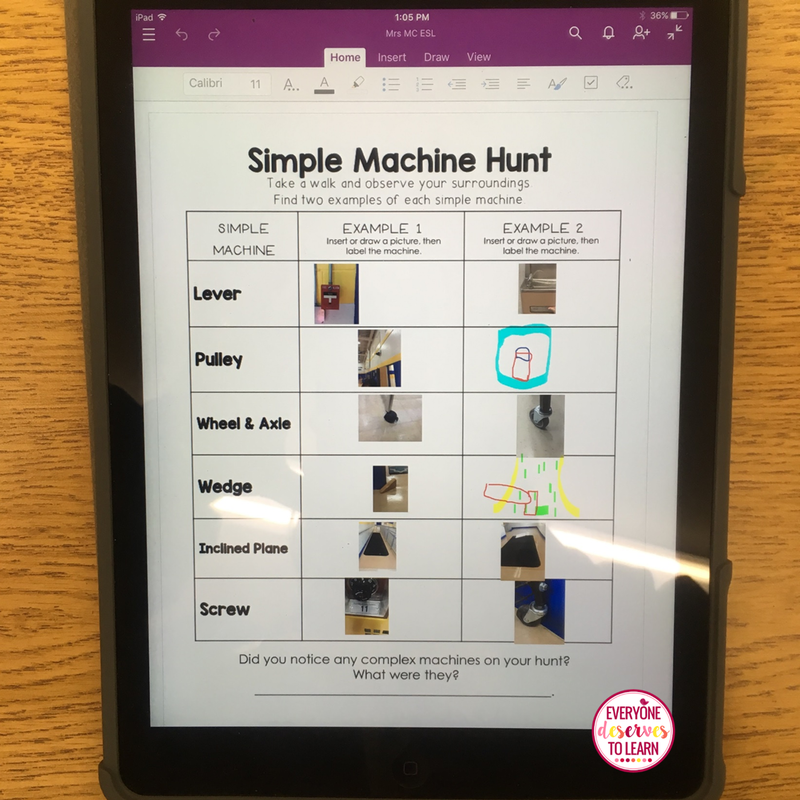 During our Simple Machines unit, we went on a hunt around the school to find examples of simple machines. 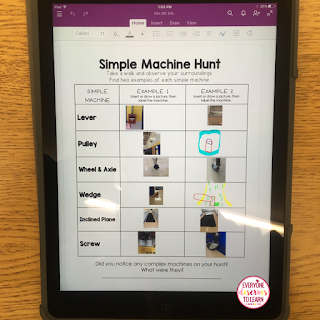 We took pictures with our iPads, then sorted the pictures into machine categories. That activity not only enriched their vocabulary, but it addressed multiple intelligences, too! Using our word cards or their vocabulary wheels, I let my students partner up to quiz each other on the word. It takes a lot of modeling by the teacher to show them what kinds of questions to ask, but since we do this for every unit, they've gotten the hang of it! Vocabulary acquisition doesn't stop at the end of the chapter! This is where your spiral review comes in. 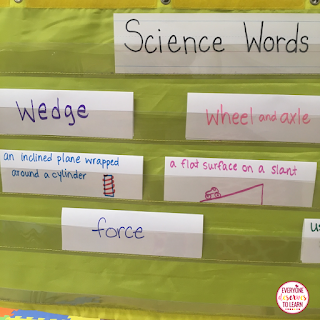 Using the words even when the unit is over gives extra repetition and a deeper connection with the word. I keep all our words in a little organizer next to our pocket chart so I can quickly find them. So for an exit ticket or closure activity, I'll grab our word cards out of the pouch, let each student pick one, and then make a 10 finger sentence for it. 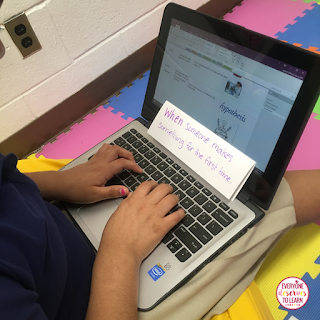 If you upload your words to a site like Quizlet or Spelling City, students can interact with the words at home or during a technology center. 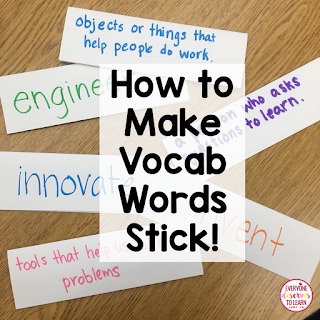 There is definitely not a one-size-fits all way to teach vocabulary, but these are some of the strategies that have worked for my ELL's. I hope they work for yours!